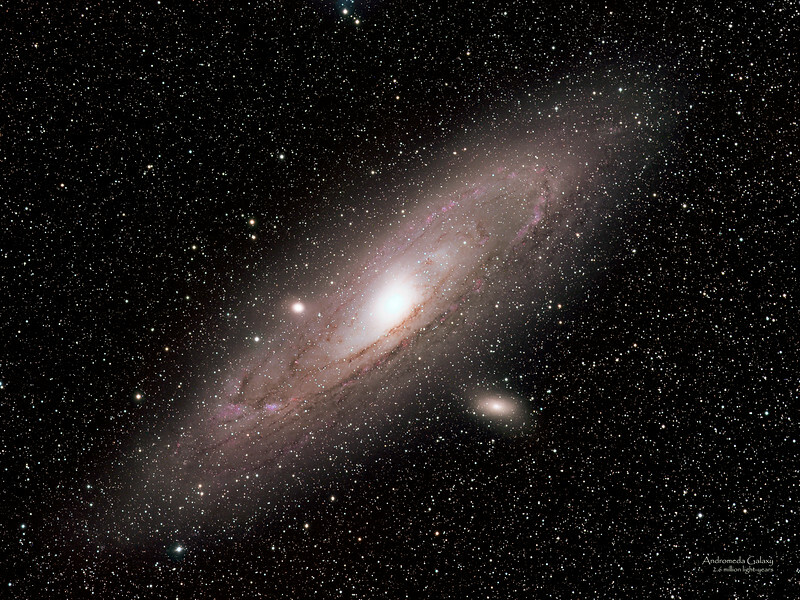 Andromeda Galaxy (M31) is about 2.6 million light years away and is one of the closest galaxies to the Milky Way. It is traveling towards us at a relatively fast rate. The two will collide in approximately 4.5 billion years. The 2006 observations by the Spitzer Space Telescope revealed that M31 contains one trillion stars, more than the number of stars in our own galaxy, which is estimated to be c. 200-400 billion.